With a wedding coming up in December then Christmas and New Year’s Eve following shortly I’ve been knee-deep into fancy dress shopping, and all the accessories that inadvertently go along with it. I’ve created this Glam List of some of my favorite glitzy pieces that are perfect for all the upcoming occasions and celebrations. A wispy lace dress is an obvious choice because its both delicate formal, while a sparkly dress just screams ‘holiday glamor’. My favorite piece has to be this Kate Spade bow back dress that is at the top of my lust list. When it comes to shoes, I absolutely adore velvet pumps in deep shades. Finally, I like gold accents on my accessories, especially with pearl or marble detailing. I hope you like these picks as much as I do! 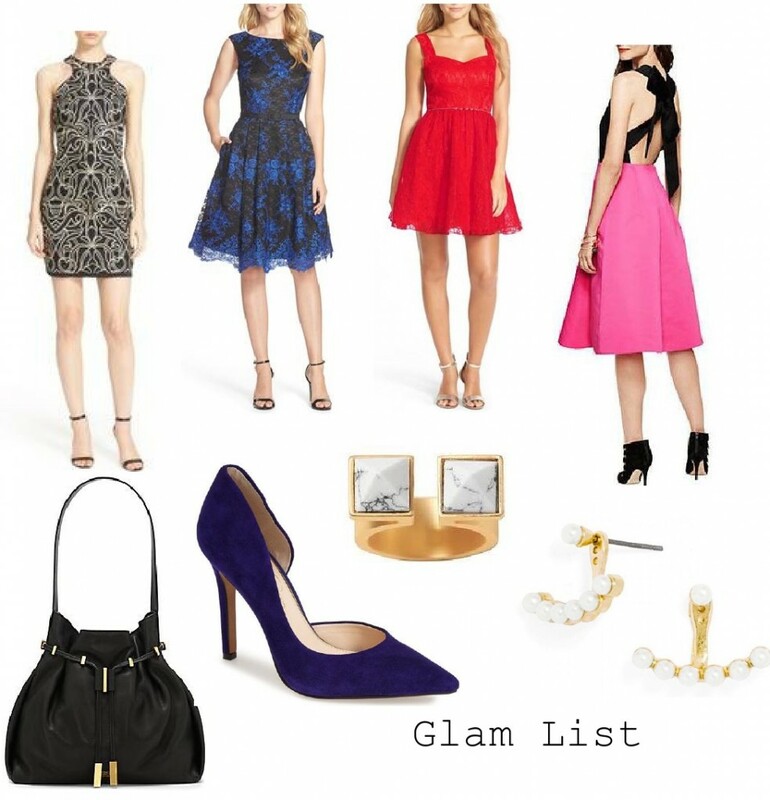 it’s never too early to start shopping for a special evening especially with all the sales going on right now, and hopefully my glam list checks all the boxes. The Kate Spade dress has to be my favorite of the bunch! Such great picks! Im already planning out holiday outfits haha. I can’t wait.